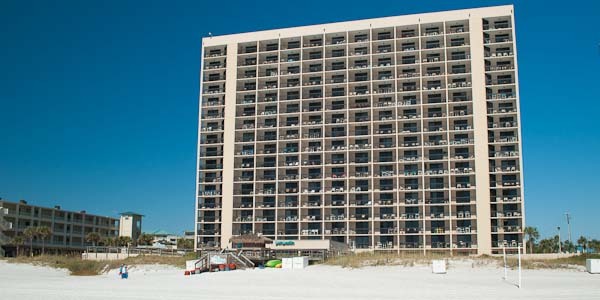 Sundestin is an eighteen-story luxury high-rise condominium tower built in 1984 and located in downtown Destin on the oceanfront. Aside from the incredible views of the white sands beach and bright turquoise waves, this resort has everything a vacationer to Destin expects. 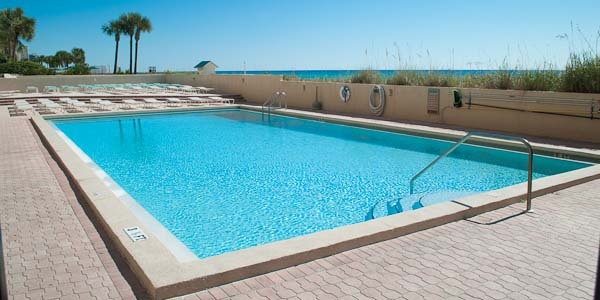 A beachfront pool, indoor pool, hot tubs, state of the art fitness center, sauna, massage therapy facilities, video arcade, and an on-site sandwich shop and bar answer most of your wants and needs. However, you will want to venture out. Being in the center of Destin, all the five-star restaurants and night clubs will beckon you to see and taste all that the city has to offer. Whether you choose to live in this vacation paradise or plan to use the rental income to help maintain it, the location and the amenities make it second to none in the range of condos that you find in this beautiful city. Ten floors provide one-, two-, and three-bedroom condominium residences. Prices range from $200,000, for a one-bedroom condo, to around $500,000 for the larger units - very affordable for the luxury lifestyle that Sundestin offers. This is a must-see if you are looking to buy a condo in Destin. Call to view any of the available units, and an agent will show you why buyers love this resort so much.